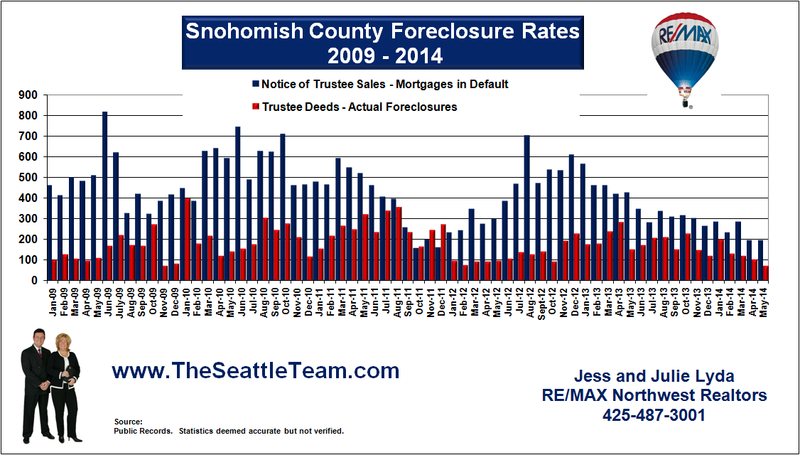 Where are all the foreclosures? 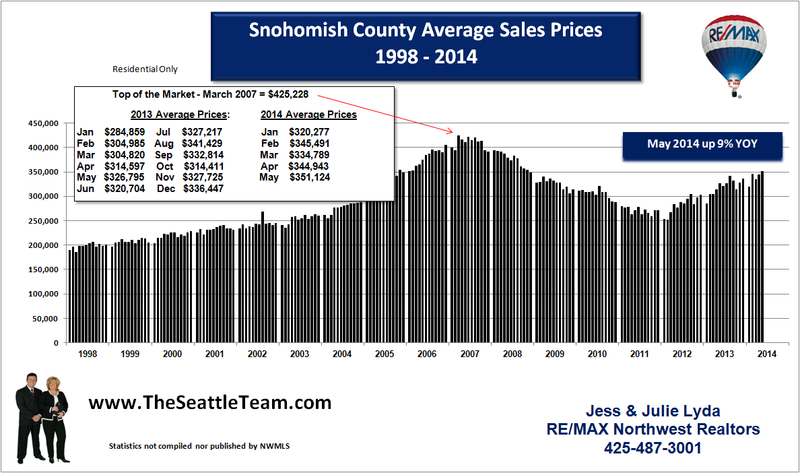 Certainly not in Snohomish County. 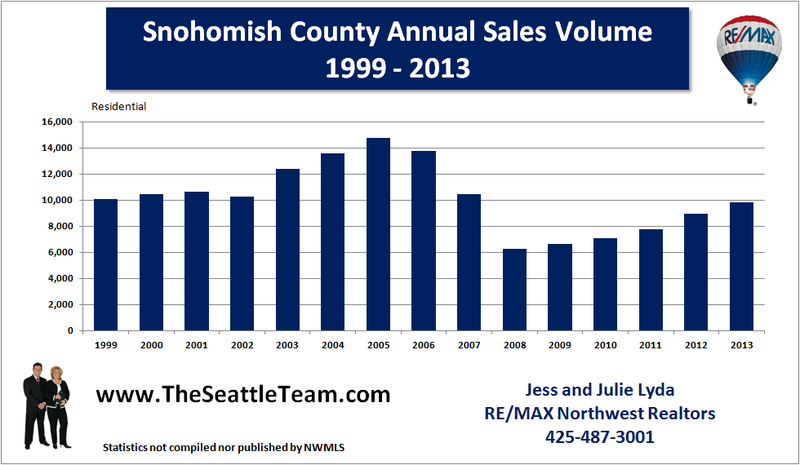 As a matter of fact, Snohomish County is holding up pretty well. 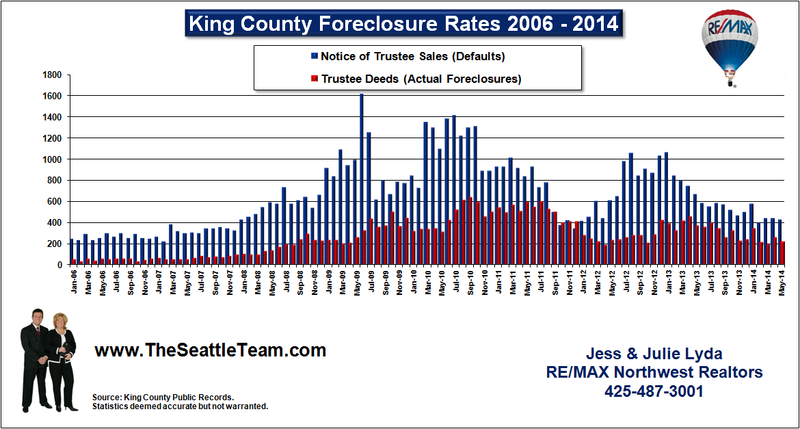 There has been no flood of foreclosures or bank owned properties known as REO's to come on the market. 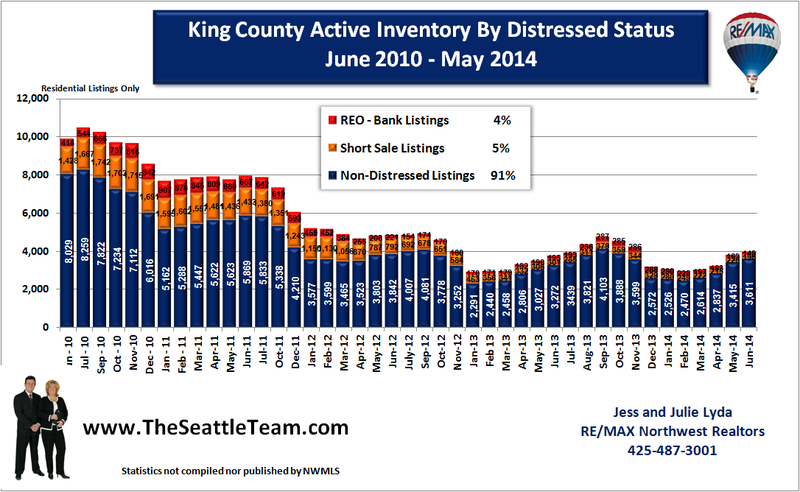 In fact the number of REO properties sold on the market in April 2010 exceeded the number of actual foreclosures for the same period. 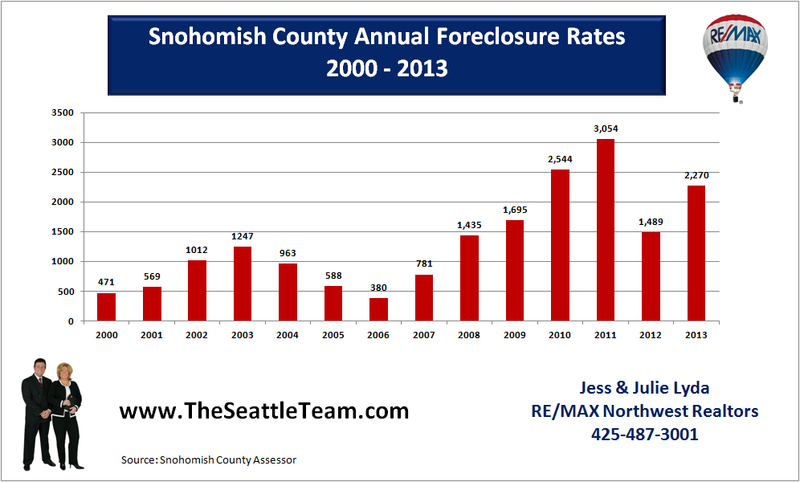 For the 10 months shown in the graph above there were 1,851 foreclosures. 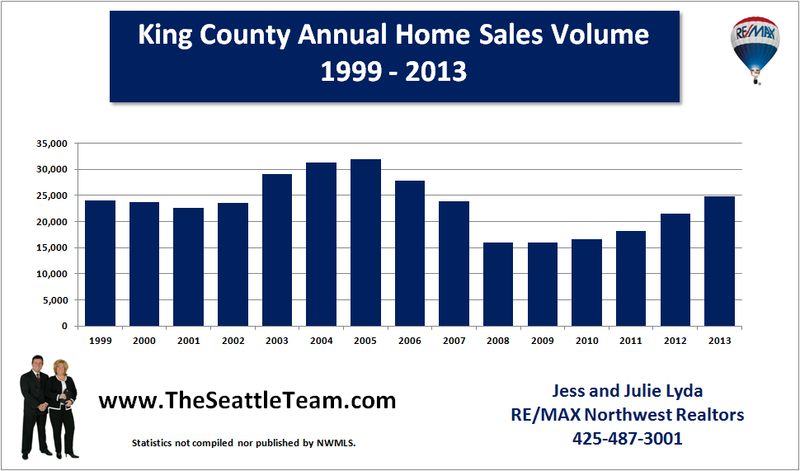 Of those, 1,387 were sold on the open market. 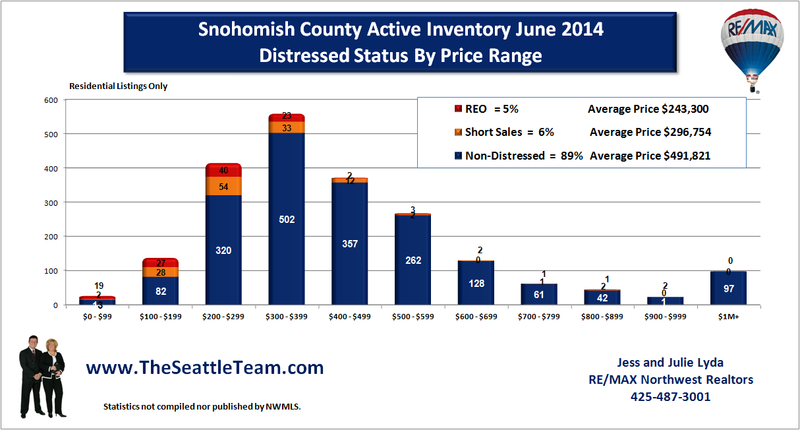 Approximately 10% sell at auction on the courthouse steps and the rest are listed for sale. 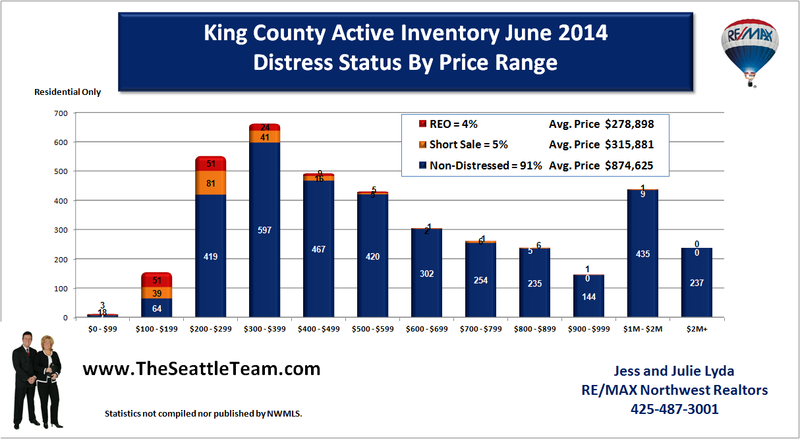 Currently there are 409 REO properties listed for sale, which is about a 3 month supply based on current sales rates of about 139 per month. 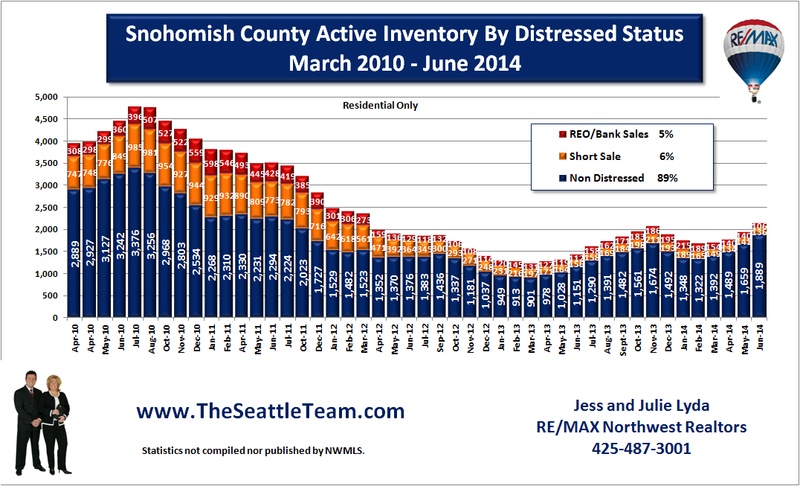 The Snohomish County real estate market continues to show stabilization along with median and average home prices. 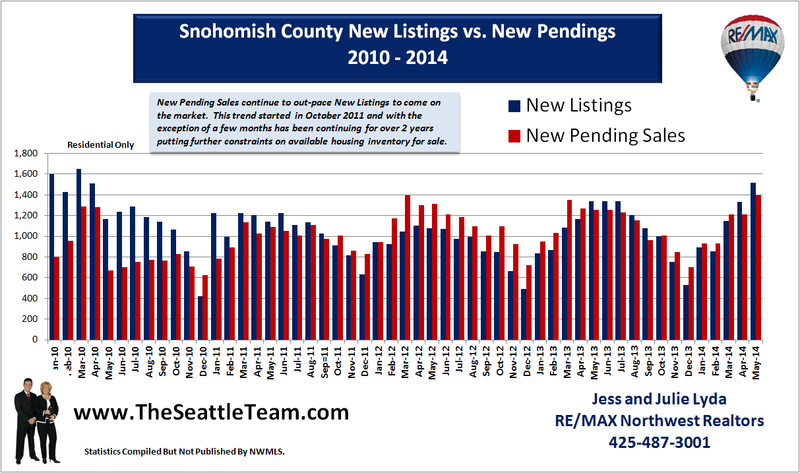 We are dedicated to providing timely and accurate data regarding the Snohomish County and King County real estate markets. 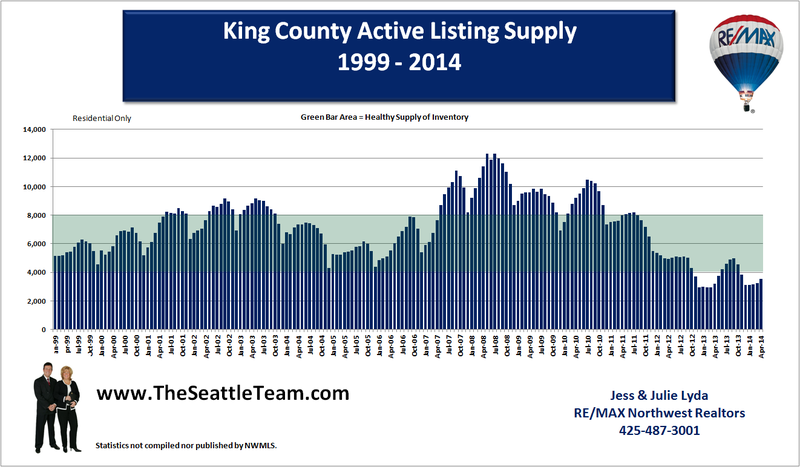 Real estate is local - and it's more important now than ever to pay attention to the local numbers rather than the national numbers as we head into a recovery. Recovery won't happen everywhere at once and you should be paying attention to your local community numbers to be able to see the recovery when and where it starts. 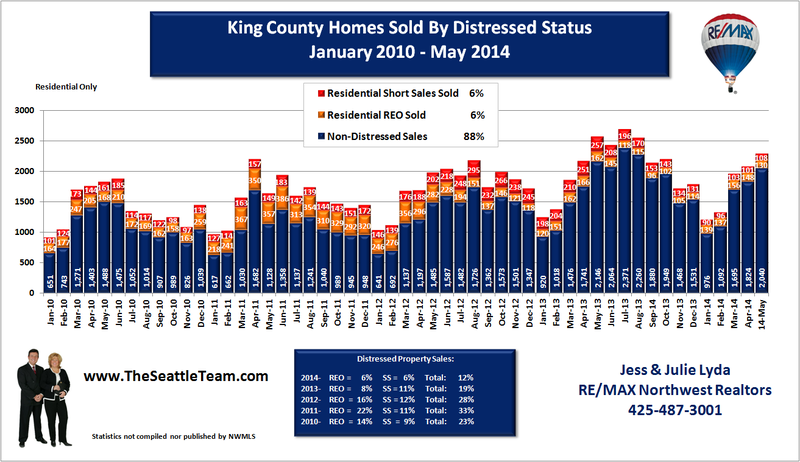 You may find data here that conflicts with what you hear in the media. Our data is independently and thoroughly researched. We have spent hours, days, weeks, months and years gathering the data from various resources to create our graphs. 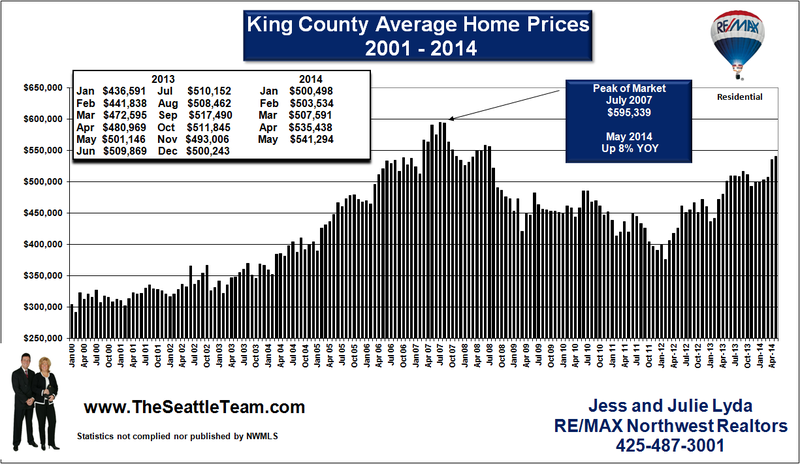 We alway promise to present the facts without the hype. The market presents opportunities for some and difficulties for others. 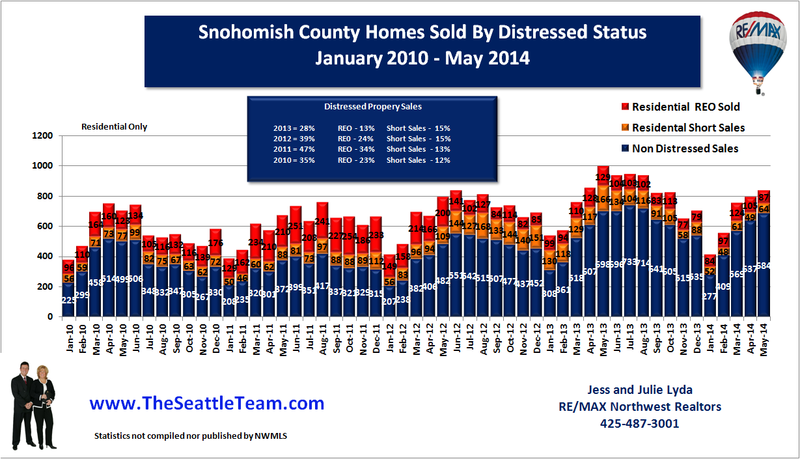 The reasons to buy or sell must be determined on an individual basis and based on your individual circumstances. 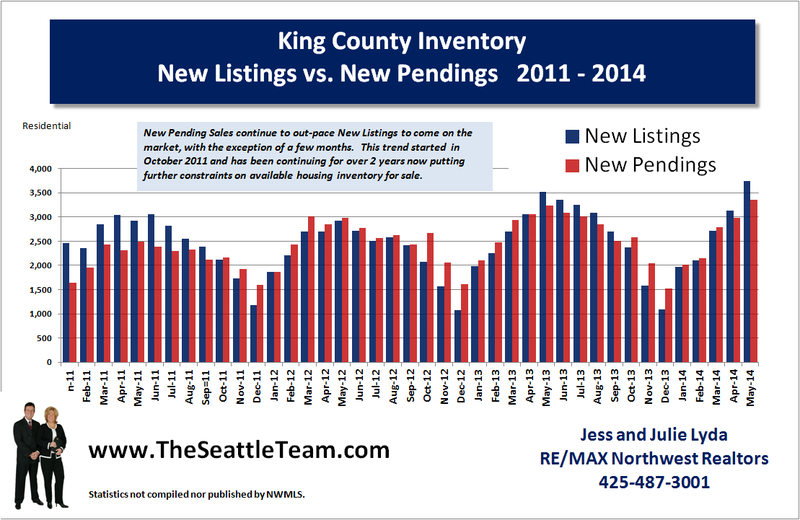 We are here to help guide, advise, and educate you as to whether this is the right time for you to make a real estate move. Any information on this website is deemed reliable, but not warranted. No information is guaranteed nor has it been verified by a third party. Nothing written here should be considered as legal advice and that all consumers should consult an attorney or legal representative as needed.